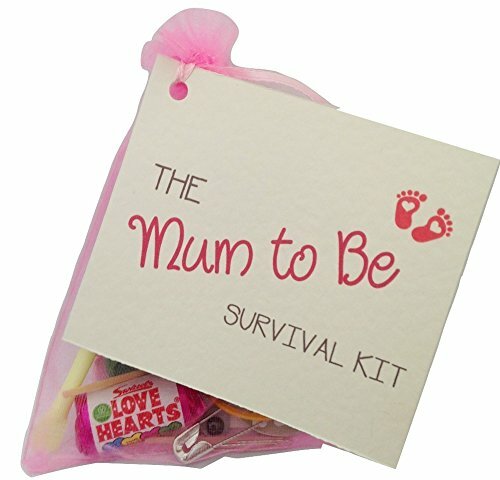 Shop Ireland » Office Product » Mum to be Survival Kit Gift. Keepsake baby shower gift for Mum. This Survival kit is a fun novelty gift and is sure to bring a smile to the recipient. It come with a colourful 11cm x 16cm organza bag. The bag is stuffed with lots of items that are detailed on the card and each have their own special meaning. The ivory card is attached to the bag and tied.